Don't know which herbicides still work in your paddocks? Don't want to waste tens of thousands of dollars by spraying ineffective herbicides? AGRONOMO and Plant Science Consulting P/L are offering a "WORLD FIRST" professional herbicide susceptibility testing and management advice service to make you money and save your time. Herbicide resistance weeds are now driving the farming system in many areas, reducing crop yields and limiting enterprise options for growers. Don't be painted into a corner and forced to make management decisions that don’t suit your goals? Keep ahead of the game and test and get professional management advice from one of the county's leading weed management experts. Quicktest and seed testing are available. Quicktest can be used pre and post sowing to quickly determine why those weeds haven't died. Management decisions can be made this season to get those problems under control. Go here for more information. AGRONOMO and Plant Science Consulting P/L are offering a world first professional herbicide susceptibility testing and weed management advice service. Herbicide resistance weeds are now driving the farming system in many areas, reducing crop yields and limiting enterprise options for growers. Do you want to be painted into a corner and forced to make management decisions that don’t suit your short term and medium term goals? Clethodim resistant ryegrass - will Factor® be any better? How can you be sure the herbicides you are using this season are going to work? Are you spending thousands of dollars on herbicides that are giving poor levels of control? Alternatively, are you using expensive herbicides to tackle resistance when older and cheaper herbicides could still be working? Have you ruled out certain herbicides thinking you have resistance to them already? This may not be the case. The only sure way to be certain is to TEST! For example many growers are now experiencing reduced levels of control from clethodim (e.g. Select®) due to herbicide resistance. Will butroxydim (Factor®) give better control of these problem grasses? Maybe yes or maybe no. The only way to be sure is to either spray the paddock with butroxydim or do a herbicide susceptibility test. Spraying the paddock with butroxydim is an expensive gamble. The service provided by AGRONOMO offers both the Quicktest® and seed testing backed up by relevant personalised management advice. Which test do you need? This is the collection of live plants which are expressed post to the laboratory, trimmed, re-potted then sprayed with the herbicides of your choice following discussion of the relevant options. Results are available in 3 to 4 weeks enabling effective management decisions to be made this season to prevent viable seed being produced by these resistant weeds. This is the ONLY way to manage herbicide resistance. Knowing which herbicides still work in your paddock is vitally important to effective weed control. Don't just think your herbicides work, get your weeds tested for susceptibility. It is easy, just follow the steps in this video. Quicktest is ideal for pre-seeding or early post emergent herbicide survivors. Why didn’t those weeds die? What will you do about it? Quicktest is only suitable for post emergent herbicides such as glyphosate and paraquat or in-crop selective herbicides. To test for pre-emergent herbicide resistance, particularly trifluralin you must use the seed test. Go here for Quicktest sampling instructions. Collect seed samples before harvest to determine why those weeds have survived all your treatments. Seeds are collected from the paddock and sent to the lab. Various tricks are used to break seed dormancy and grown before spraying with the herbicides determined to give answers relevant to your farming system. Results are normally available in March. Results are interpreted and specific management advice is given for the current season. Go here for seed test sampling instructions. When submitting samples you will need to include the forms below for each sample submitted. Remember to complete the second page with which herbicides you want to test. AGRONOMO is happy to discuss the choices with you. Grower does own collection, packaging and mailing of samples. Note that this can reduce the quality of the advice given by AGRONOMO because he will not have the same understanding of the farm and how it is managed. Report (2 page) for the paddocks being tested – which herbicides still work. Best management strategies for the next 12 months. Initial face-to-face consultation to determine paddock crop and herbicide history. This helps determine the best herbicides to test. AGRONOMO to do collection, packaging and mailing of samples. Package 3: Resistance testing package with specific risk management and rotation advice for paddocks tested - medium term (3 to 5 years). Report for the paddocks – which herbicides still work. Best risk management strategies and rotation for the next 3 to 5 years. This will involve up to 4 consultations with at least one face-to-face to discuss options with you and your farm consultant/agronomist. Package 4: Resistance testing package with specific risk management and rotation advice for paddocks tested - medium term (3 to 5 years) - minimum 2 paddocks. 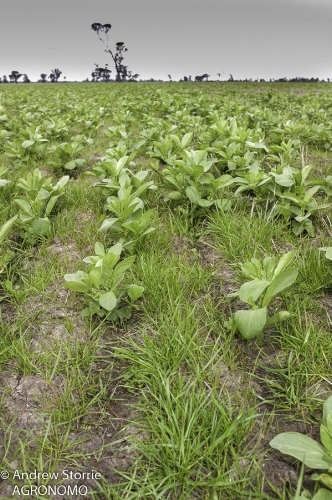 Report for paddocks tested – which herbicides still work. Best risk management strategies and rotation for the next 3 to 5 years. This will involve up to 5 consultations with at least one face-to-face to discuss options with you and your farm consultant/agronomist. Package 5: Longer term risk management (4-5 years) advice for the whole farm is available for an additional fee. Report for the whole farm – which herbicides still work. Best risk management strategies and rotation for the next 5 years. Number of consultations to be negotiated. Price on application. Plant Science Consulting also offers a stand-alone testing service to indicate which herbicides are still effective. Visit http://www.plantscienceconsulting.com.au/ for more details. AGRONOMO has 37 years as a professional agronomist with expertise in herbicide resistance management and spray application. Plant Science Consulting has been conducting accurate and reliable resistance testing for 13 years.